Hosting a 4th of July party this year? Or attending one and you need to bring a dish? 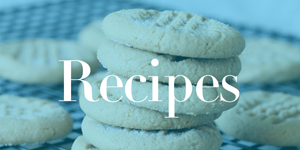 Even if you just want to make something fun for your own family on the 4th, be sure to check out these great 4th of July recipes! Flag Pretzels – Super fun to make and so easy even the kids can help! Pound Cake Berry Trifle – This is a gorgeous dessert will soon become a favorite one made each year! Patriotic Punch – Easy to make and it tastes as good as it looks! Very refreshing on a hot day! 4th of July Cheesecake Pops – These yummy cheesecake pops sprinkled with 4th of July color sprinkles are perfect for your 4th get together. Frozen Strawberry Lemonade – The definition of refreshing on a hot summer day! And the 4th of July always seems to be hotter than most. 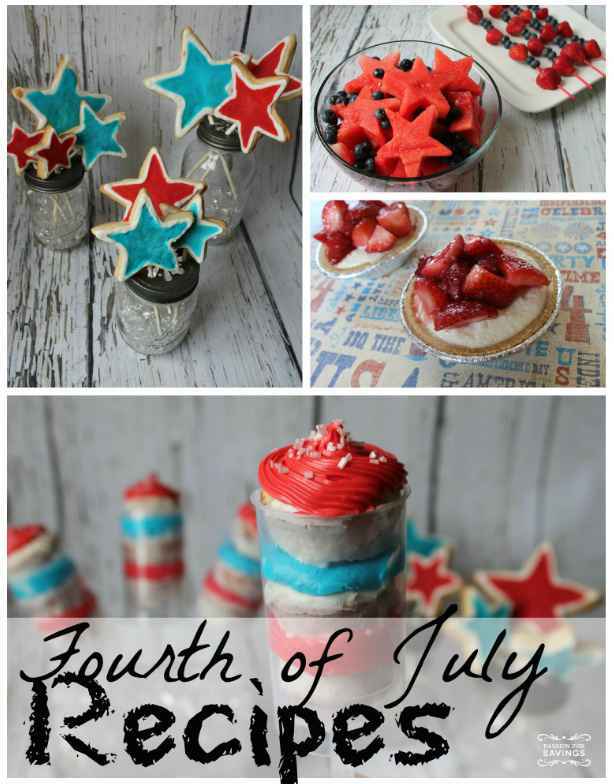 Red, White and Blue Parfaits – A dessert that is as cute as it is yummy! The favorite colors of the holiday layered one on top the other. Red, White and Blue Push Pops – The kids will love these! And pretty simple to make. You’ll be the hit of any 4th of July party this year! Fourth of July Rice Krispies Treats – This all time favorite made with the 4th of July colors of red, white and blue. Always a favorite! 4th of July Whoopie Pies – Quick and easy, soon to be a 4th of July favorite for the kids (and many adults). Very easy to make and almost too cute to eat! Revolutionary Berries – Add some blue and white to the red strawberries, and you have a yummy treat perfect for the 4th! White Chocolate Chex Mix – Throw in some red and blue M&Ms and you have an awesome 4th of July snack! Not sure what it is about chex mix and chocolate, but they sure go together great! Red, Hot and Blue Wings – What’s a barbecue without some wings. 4th of July Ribbon Flip Flops – A fun craft project to do before and wear that day, or to keep the kids busy during your 4th of July get together.